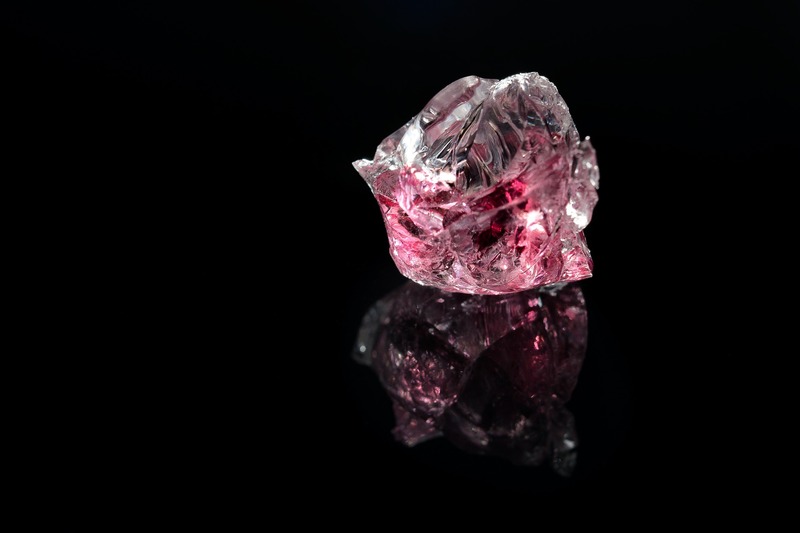 The stone was revealed in New York as part of the 2017 Argyle Pink Diamonds Tender, the annual showcase of the top-quality pink diamonds to have emerged from the Rio Tinto Argyle diamond mine in Western Australia, wrote Rapaport. “The colour of pink and red diamonds is the result of an atomic deformity which affects the way light is refracted through the stone. Just 0.03 per cent of the diamonds mined every year across the globe are pink, and an even tinier proportion of these are red. The 2017 Argyle Pink Diamonds tender – dubbed “Custodians of Rare Beauty” comprises 58 stones totalling 49.39 carats and includes four Fancy Red diamonds, four Purplish Red diamonds, two Violet diamonds and one Blue diamond. The Argyle Everglow is one of five “hero” diamonds in the tender, highlighted because of the intensity and vibrancy of their colours. The others include a 1.14-carat Fancy Red, a 2.42-carat Fancy Purple-Pink, a 1.50-carat Fancy Deep Pink and a 0.91-carat Fancy Deep Grey-Violet.” said Rapaport.